Monday my Article came out on the interent about spinal decompression and disc rehab, I have had an amazing response. I have doctors from across the country calling me about this procedure and I have allot of people contacting me about this procedure. What seems to have really worked for me is to be up front and honest about the procedure. These days people are bright, by telling them that NASA invented this technique it is demeaning. The doctors that advertise this are now being sued by NASA! 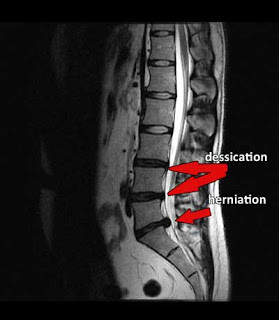 Spinal decompression is the best thing to do if you have a herniated disc or bulging disc. I learned a interesting fact yesterday, that in Canada before the insurance will pay for a back surgery for herniated disc they want to see that you completed 20 sessions of spinal decompression! Do i think that this would happen here? I hope so but there is way to much money at risk for the orthopedic doctors and hospitals and surgeons at risk. Cananda is progressive and I feel that once the long term studies and govermental cost savings are published it will be a push for United States to do the same. Costs righ now are absorbed by the patient, A typical program cost 3-4 thoushand.